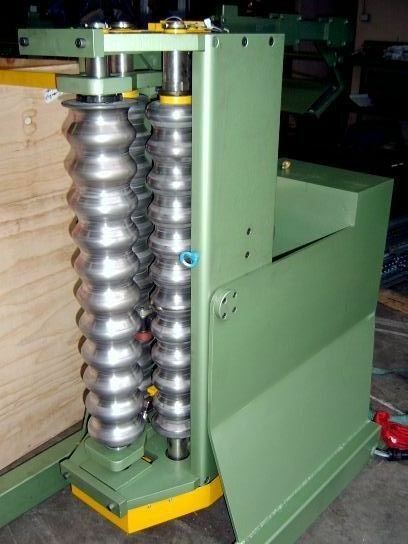 Our automatic Corrugate Curver is an SEW powered unit with rotating spindle assembly allowing for both horizontal and vertical curving of Corrugate lengths. The Curver is controller via a built in numeric controller which links to an internally mounted encoder. We have also recently developed and released the first of our manual Corrugate cuvers - a more cost effective solution for businesses of all sizes.